For one less pot to contend with, plunge the peas into the same pot of boiling water that you’ll later use for the pasta. Cook the peas, extricating them with a slotted spoon, then toss them in ice water while the pasta cooks. 1. Cook the pasta in a large pot of salted boiling water for 10 to 12 minutes or until al dente. Drain and return it to the pot. 2. Add the lemon juice, oil, peas, salt, and pepper to the pot and toss to combine. 3. Add the ricotta and gently toss again. 4. Spoon the pasta onto plates and top with the mint and Parmesan, if using. Don’t be too eager to add the mint to the warm pasta, as this can cause the delicate herb to darken. It could get ugly. This is quick, simple, and full of flavor, good either as a side dish or on its own. I didn’t have any fresh mint on hand, but I had lots of basil, so I used that in its place. I imagine if you don’t care for mint, you could substitute a variety of other herbs as well. I also would like to try this recipe with chopped asparagus in place of the peas. I served this alongside some fresh salmon, and thought putting the salmon in the pasta might be an interesting addition. This was a fast and satisfying pasta dish, perfect for a weeknight. The creaminess and tang of the ricotta went well with the lemon and mint, although I think I’ll add extra mint and some lemon zest to the ricotta next time I need a quick dinner. 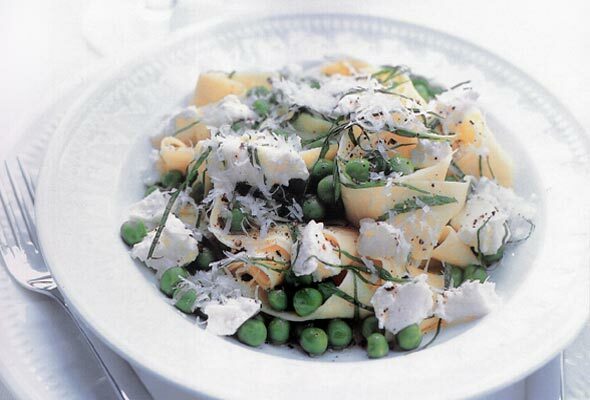 Lemon, Ricotta, and Pea Pasta Recipe © 2006 Donna Hay. Photo © 2006 Con Poulos. All rights reserved. All recipes and photos used with permission of the publisher. 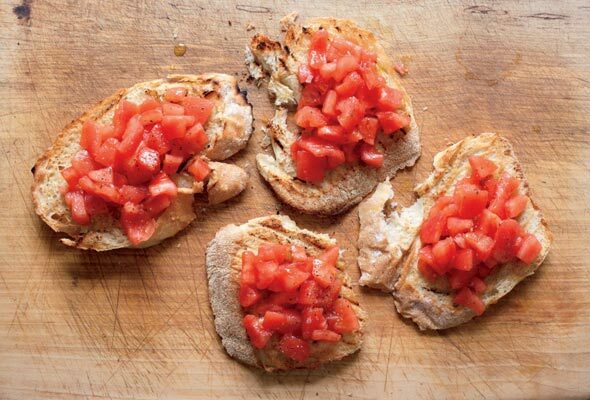 This is the perfect dish for summer! The lemon zest paired with the mint adds that fresh, summery flavor. 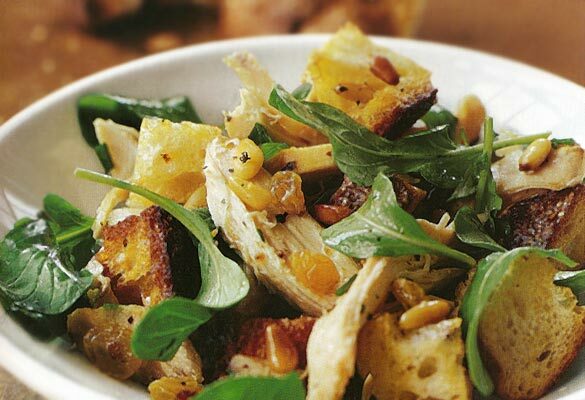 I love recipes that are flexible and allow you to add and/or substitute ingredients. Happy, I agree. What I like about it is it isn’t a creamy, gloppy pasta. It’s light, with the bits ‘o cheese in it. I feel virtuous eating it…which isn’t an easy thing for me to feel. I normally zoom in on the fatty, fat, fat dishes. Rather than cooking the peas first, I wait until the pasta has about a minute cooking time left, and throw the peas in the pot with the pasta. Then all can be dumped into the colander cooked perfectly. I’m making this for dinner! Martha, yes, great idea. Especially when the peas are young and delicate. Let us know what you think. This looks delightful and refreshing. It reminds me of a similar recipe that calls for mascarpone and basil (no ricotta and mint). Certainly a completely different flavor altogether, but still keeps that light flavor that’s good for summer. We couldn’t agree with you more, Laura T.